The Association of Research Libraries and the conference planning committee awarded 10 outstanding individuals travel awards to attend the 2016 Library Assessment Conference in Arlington, Virginia, on October 31–November 2. The Library Assessment Conference Travel Awards were offered to students and early-career professionals from historically underrepresented racial and ethnic groups who have demonstrated a strong interest in assessment and have the potential to contribute to the profession by deploying and developing innovative assessment and evaluation methods and strategies. Each award included free conference registration and $1,000 to cover the costs of transportation, lodging, meals, and workshops at the conference. The sixth Library Assessment Conference was co-sponsored by the Association of Research Libraries (ARL) and the University of Washington (UW) Libraries. 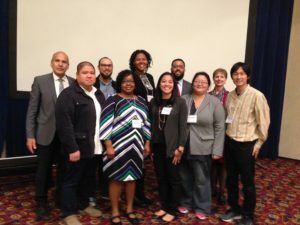 The awardees were selected by a committee composed of members of the ARL Diversity and Inclusion Committee, the ARL Assessment Committee, and the Library Assessment Conference Planning Committee. The Association of Research Libraries (ARL) and the Library Assessment Conference Planning Committee selected Neal Kaske and Stephen Town as the recipients of the 2016 Library Assessment Career Achievement Awards. These awards recognize individuals who have made substantial contributions to effective, sustainable, and practical library assessment as evidenced through presentations, publications, methods, service, advocacy, and other work. Neal Kaske served as the director of the Library and Information Services Division at the US National Oceanic and Atmospheric Administration (NOAA) from 2008 until his retirement in 2015. Prior to that he served as the chief of Public Services and Regional Libraries at NOAA (2007–2008), director of Statistics and Surveys for the US Commission on Libraries and Information Science (2005–2007), and as manager of the Engineering and Physical Sciences Library at the University of Maryland (1996–2005). 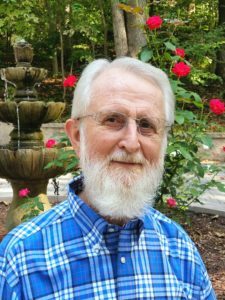 For more than 40 years, Kaske has been a researcher, practitioner, scholar, teacher, consultant, and mentor in library assessment and measurement. His publications cover nearly every area of library assessment, including collections, digital reference, information literacy, library value, library technology, organizational effectiveness, and surveys. He has presented widely at a number of local and national conferences and workshops. He served on the Federal Library and Information Network (FEDLINK) Board and was the feature editor of “Research: Theory and Application” for portal: Libraries and the Academy, from 2000 through 2014. Kaske, known for his mentorship of librarians, was a mentor in a program sponsored by the Library Research Round Table and portal: Libraries and the Academy, from 2001 to 2008. 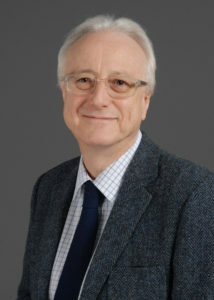 Stephen Town retired as the director of information and university librarian at the University of York in 2015 after decades of leadership in libraries, particularly in library assessment in the UK, Europe, and around the world. His leadership in and contributions to the field are numerous and significant. Town won the Outstanding Paper of the Year Award for the Emerald Journal Performance Measurement and Metrics in 2006 and 2013. For many years he served as the convener of the Northumbria International Conference on Performance Measurement in Libraries and Information Services, a biennial conference held in the UK. He is a member of the Library Assessment Conference Steering Committee and also serves on the editorial board of Performance Measurement and Metrics. Town was influential and instrumental in implementing LibQUAL+ in the UK through the Society of College, National, and University Libraries (SCONUL). Other work for SCONUL included projects on benchmarking, information literacy assessment, and value and impact measurement. He has served as a consultant worldwide and as a teacher, mentor, and generous colleague to an entire generation of assessment practitioners. The Association of Research Libraries and the University of Washington offered the Library Assessment Career Achievement Awards in conjunction with the biennial Library Assessment Conference. The awards were presented on Wednesday, November 2, 2016, in Arlington, Virginia.